On August 4, 2007, Heidi McKenzie was in a car accident that changed her life forever. She sustained a T4 spinal cord injury, which caused her to become a paraplegic. Paralyzed from the chest down, McKenzie can move her arms and hands but is unable to stand up or get around without using a wheelchair. But it didn’t take long for McKenzie, now 29, to embrace her new lifestyle. She was crowned Ms. Wheelchair Kentucky in 2012 and became an advocate for people who use wheelchairs by traveling around the country and sharing her story. Later that same year, McKenzie, who lives in Mount Sterling, Kentucky, went on to the Ms. Wheelchair America pageant. While there, she and more than 20 other women in wheelchairs competed together for weeks. McKenzie didn’t win, but something she noticed throughout the competition stuck with her long after the final prize was handed out. “I realized we all had a common struggle when it came to fashionable and functional clothing,” McKenzie told The Mighty. Inspired, McKenzie, who had always been interested in fashion, set out to help fill that void. 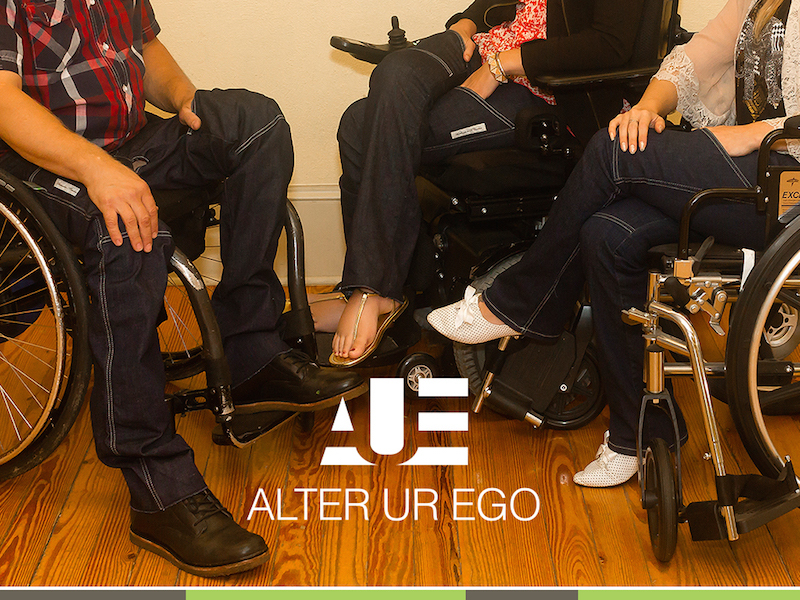 She recently founded Alter UR Ego, a clothing company predicated on creating comfortable, fashionable clothing for people in wheelchairs to help them look good and, in turn, feel good, too. “I want to make it possible for those with disabilities to be able to express their ‘alter-ego’ through fashion while breaking down social barriers,” McKenzie wrote on the company’s website. McKenzie teamed up with designer Kristin Alexandra Tidwell to create her company’s first clothing design — an adaptable pair of blue jeans. 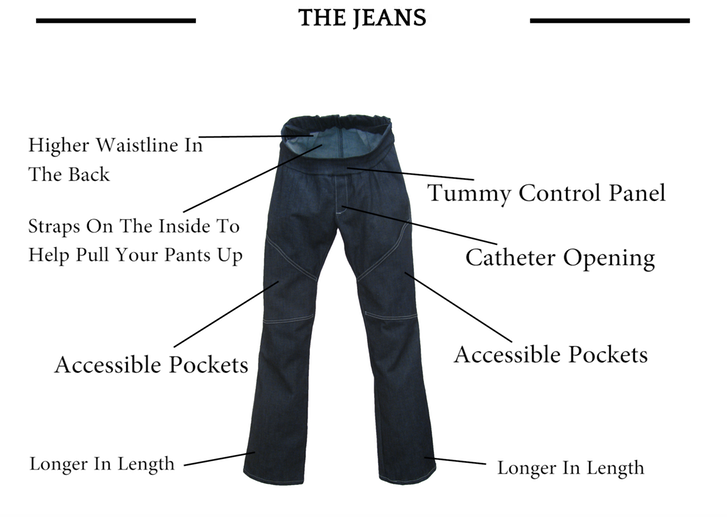 The jeans include accessible pockets, a high waistline in the back, an elastic waistband, straps on the inside of the pants to make them easier to pull up and an opening for catheter use. 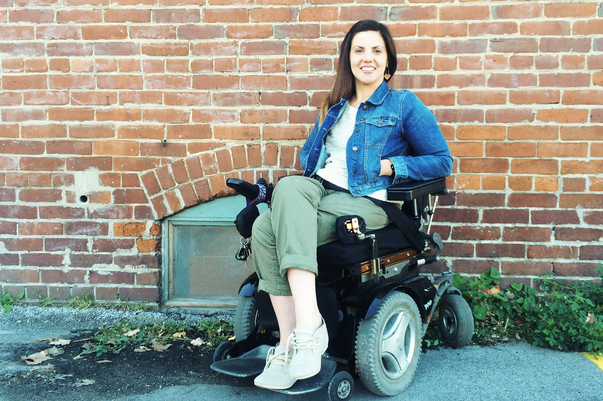 When she initially came up with the idea to design clothes specifically for people in wheelchairs, McKenzie became aware of two existing companies with the same mission as hers — ABL Denim and IZ Adaptive. These companies differ from Alter UR Ego in a few ways — McKenzie’s design is the only one created by a person in a wheelchair. The second is that her jeans have different pocket placement and an opening for catheter use. But McKenzie says it was those two companies’ successes that prompted her to move forward with her project. 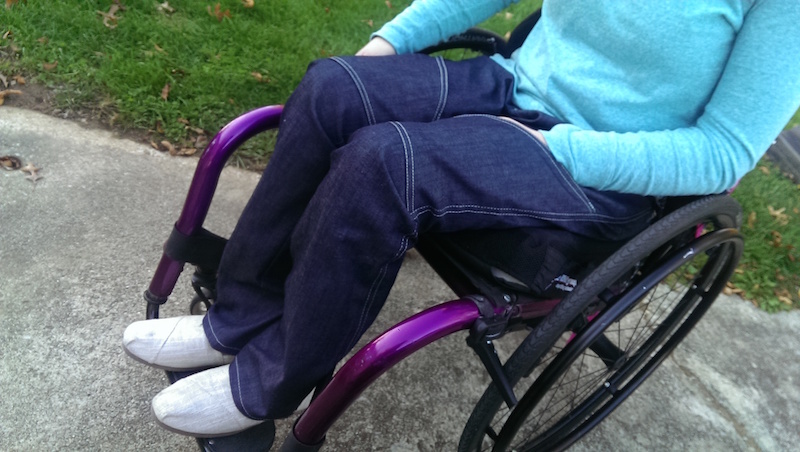 McKenzie has tested the jeans prototype herself and with several of her friends who are in wheelchairs. She’s now working to raise enough funds for the company to go into production and sell the jeans online. So far, her Kickstarter campaign has raised just over $4,300. She hopes to hit $20,000 by August 29. 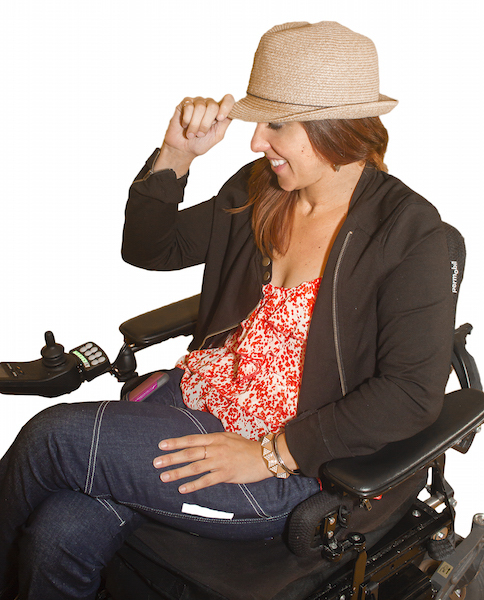 After successfully funding the jeans, McKenzie wants to expand Alter UR Ego into a fully accessible clothing line. To learn more about McKenzie’s story and contribute to the Alter UR Ego brand to help get these jeans on the market, visit the project’s Kickstarter page.